Provide comfort for the family of James Reese with a meaningful gesture of sympathy. 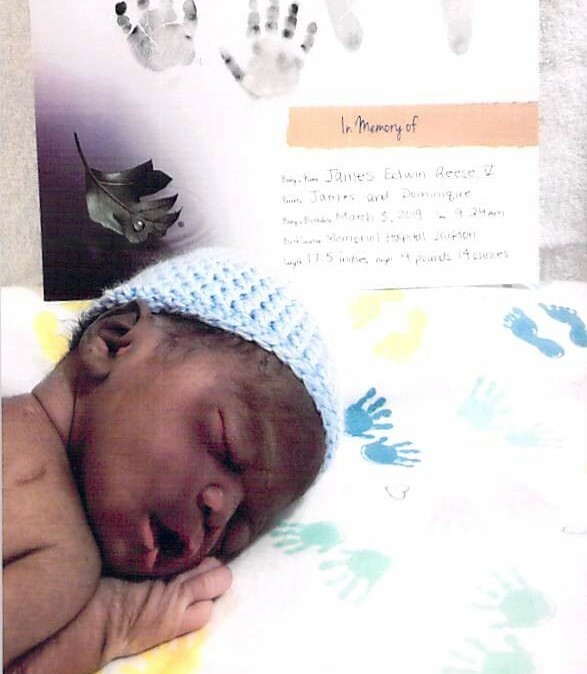 James E. Reese V "Baby J" was born on March 3, 2019 in Jacksonville, Florida to James E. Reese IV and Domonique Barbero. Baby J earned his wings March 3, 2019. He was preceded in death by his father, James E. Reese IV. Although his time was short he leaves behind to cherish his memory a loving mother, Domonique Barbero; grandmother, Jill Daniels (John); grandfather, James E. Reese III; aunt, Tiera Powell; uncle, Mareyon Tisby; aunts, Jimari Biggs and Kyara Perkins; brother, Jaycion Barbero; cousins, Kymare Tisby and Mareyon Tisby and other relatives. Baby J your time here with us may not have been long, but the memories of you will always live on. You was surely the sweetest little thing that God called home and granted you your wings. You will be truly missed. To send flowers to the family of James Edwin Reese V, please visit our Heartfelt Sympathies Store. We encourage you to share any memorable photos or stories about James. All tributes placed on and purchased through this memorial website will remain on in perpetuity for generations. Provide comfort for the family of James Edwin Reese V by sending flowers.